Trampolines are fun, and they are a great way for kids and adults alike to get outdoors and get some exercise. You probably have fond memories of jumping on a trampoline as a kid, of bouncing high up in the air and feeling the thrill of near-flight. But you probably also remember someone getting hurt on a trampoline. 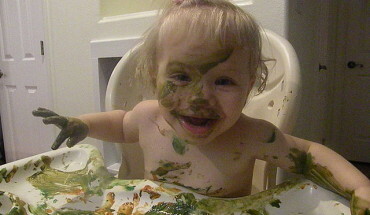 For many parents, it is this latter concern that gives them pause. Sure, trampolines are fun and healthy, but are they safe? There is a lot of conflicting literature out there in regards to the safety of trampolines, but at the end of the day, the answer is: it all depends. 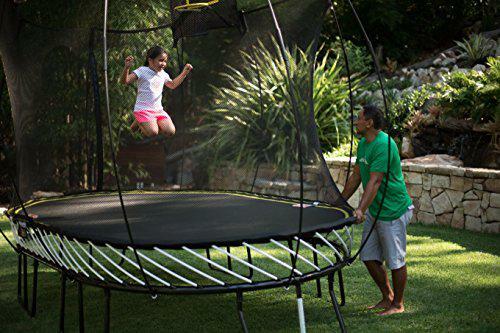 It depends on which trampoline you choose; it depends on adult supervision; and it depends on the rules you as a parent set. With that in mind, let’s look at a few ways you can turn this fun pastime into a safer experience. You probably remember the trampolines you bounced on as a kid – open on all sides, with a hard edge and sharp springs. They were an injury waiting to happen. That all changed when Springfree Trampolines – the world’s leading safe trampoline brand – started making trampolines for sale with an eye toward safety. For starters, they make their trampolines with a flexible enclosure to ensure that no one falls off. Instead of springs, they use composite rods (hence the name “Springfree”), which are tucked under the bouncing surface. And they put a soft edge around the mat, in case of tumbles and missed landings. 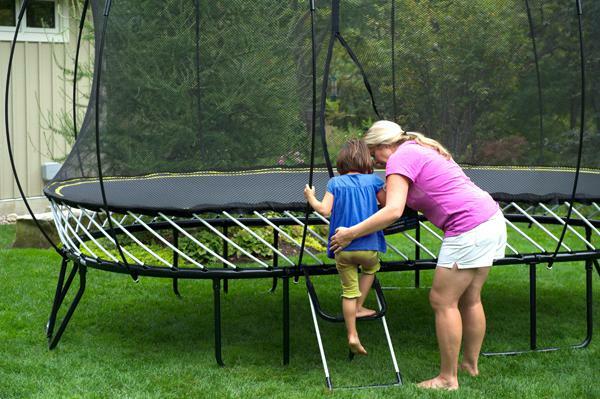 With these measures alone, they have removed 90% of product-related trampoline injuries. But the safety of a product can only go so far. 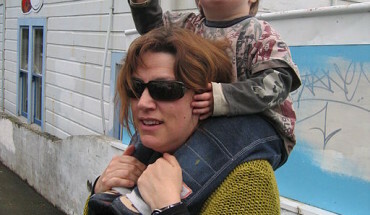 In order to ensure a completely safe experience, firstly, you need adult supervision. You can enforce as many rules as you want (which this article will touch on below), but if there is no adult there to enforce said rules, it could be for nothing. Everyone not jumping must keep a safe distance from the trampoline. The flexible enclosure can still move outward and hit someone. These and other rules can go a long way toward further reducing the risk of a trampoline. No activity is 100% safe, but by buying a safe trampoline, providing adult supervision and laying a few common sense ground rules, you can get pretty darn close. Bouncing on a trampoline is not only fun, but in the modern age of smartphones and online games, it is also an entertaining way for kids to get exercise. With these tips, you can make sure bouncing is as safe as it is fun.